This Japanese heirloom’s 3-lb. fruits are deep red-orange inside and out. Flesh is creamy and sweet with a hint of chestnut, and the skin is delicate enough to eat too or include in pureed soups, no need to peel. 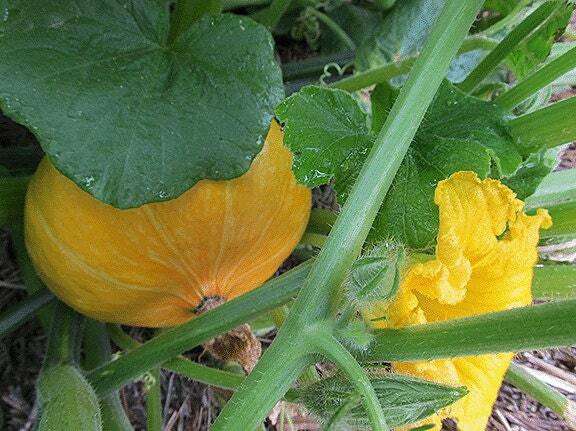 Plants are vigorous, and the squashes store well. Culture: Direct sow when soil has warmed in late spring, or start 4 weeks earlier indoors and carefully transplant (roots don’t like jostling). Full sun, good soil, average water. The plant is a robust vine that wants to spread, so give it plenty of room. As with most vining squash, plants will send out auxiliary roots at leaf nodes along the vine to take up more moisture and nutrients. 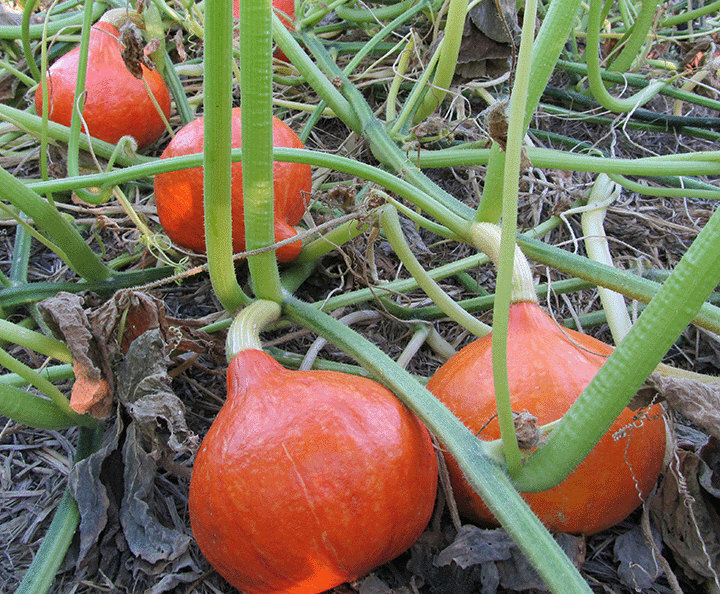 Harvest when big and bright orange, or leave until frost ends growth. Cure squash for a few weeks at room temperature before eating. Can be stored several months at 50-60 degrees. Great quality seeds- thank you very much! Great quality seeds & fast shipping.